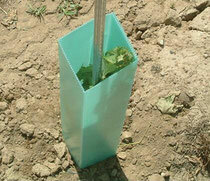 VINEYARD TRELLISING PRODUCTS: YOUR PLANT LIKE STAR! It is necessary to look for the right and convenient quality. ALL THAT YOU NEED FOR VINEYARD AND ORCHARD! 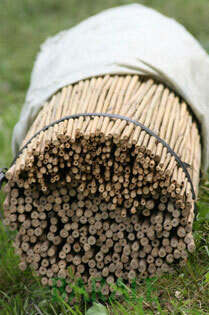 Accessories for Vineyards, for the overseas market, provides Vineyard Posts and Accessories for Vineyards and Orchard. Thanks to the partnerships with our resellers, if we receive a request from our customers, we advise where it is possible to buy the best Vine Plants, Accessories for Vineyard and the best Vineyard Equipments. Thanks to its easy manual ability, it allows the construction of an High Vineyard Planting System. The Galvanized metal posts traded by "Accessories for Vineyards" are considered as the best ones on the World Market. These kind of Posts allow an easy use of our accessories for Vineyard, especially for the Spacer for Double Wires, Wire Brackets, Wire Supports and many more! After 15 years of use in the best Italian vineyards we can surely say that is the most practical and safe pole that consent you to prepare a modern automated vineyard. Our Post is totally recyclable so that it can be called ecological. The important quality of the whole gamma of europal is that of having wire-hanging buttonhole that don't lean out of the pole's shape, so that you can obtain two positive effects: the grape picker machine can't be damaged and there will be no other kind of damages. Special models are available according to demand and after technical clarification. However, longer delivery times must be expected. We therefore suggest to clarify and order special models already in the early season between June and September. In the peak season from January to May, special models are mostly not available. As to the special models, the quantity delivered may vary up to +/- 10% of the ordered quantity since production runs according to the batch sizes and no storage of these models is built up. 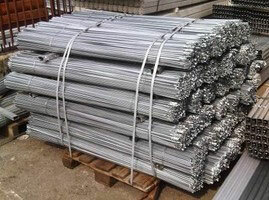 All models are available in tried-and-tested hot-dip galvanized quality. Post models for all kinds of vine rearing. Coated posts made from hot-galvanized steel and other alloy. They is resistant to corrosion that is 3 to 7 times greater than traditional hot galvanized sheet metal, as demonstrated by the salty spray fog test. The ecological red protection varnish is completely destinated with notches of 70 cm, 80 cm and 90 cm to simply the reinforcing ribs allows decisively greater mechanical resistance performance. The round shape, with rows of hooks placed inside the profile, means there are no sharp edges that could damage mechanical bodies of oeratinpg machines. Higher life expectancy than the traditinal vineyard wire thanks to our own zinc coating concentricity ( 10-20% more of pure zinc used) 60% more of trellising wire installed than traditional vineyard wire with equivalent breaking strenght. The Shelter function is very important especially for the young plants. 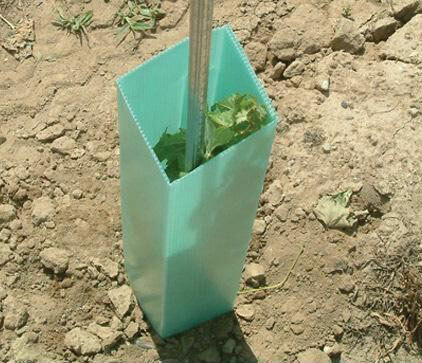 In fact, the right protection given to the plants will allow a correct growing of the plant. At the same time, the micro climatic which the plants obtains inside the Vine Protection, will stimulate the Plant growing. 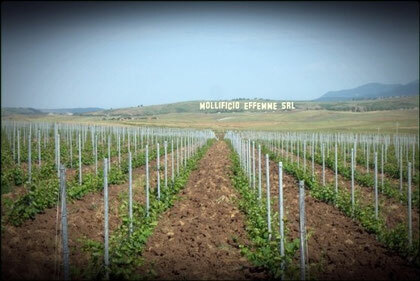 The Vine Protection "Shelter" provided by Mollificio Effemme srl could be sent in different height such as: 40 cm - 50 cm - 60 cm. Our Classic Packaging is made in order to reduce and to save space and our EuroPallet generally contains 3.000 pieces. The Stakes in addition to the support of the vertical screw to the proper development of the plant must be very resistant to the machines that will work in the rows. More higher is the mechanical strength, the greater protection is offered to the vineyards. Steel with zinc treatment reduces the formation of corrosion and the galvanized material has ensured a long life to the vineyard, eliminating the release of pollutants into the surrounding environment, even in case of completely mechanical harvesting. As you can see in the pictures above, the galvanized steel offers a cutting on the head which allows the insertion of the wire without additional equipments. 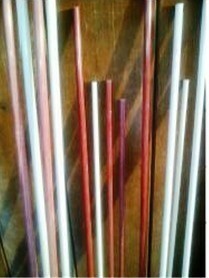 The Stake are made of PVC. 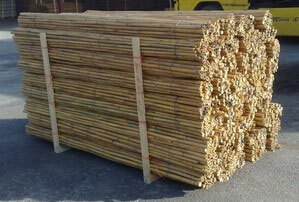 The sizes we offer are 20/24 mm. but on request we can provide what you expect.The Stake is smooth 20 mm, 24 mm while that has grooves every 90 degrees (for a total of 4) all the 'height. This allows, in certain crops, fixing wires svelocizzandone work. 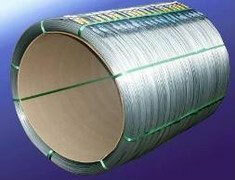 The diameter, height of the product can be customized on request, according to the target market and use. The Stake PVC, compared to all others on the market, it is more lightweight, no rust in the ground, so it has a more long-lived life, who must make large plants, the number of pieces that you can upload un'autotreno, are far more so reducing transport costs, which you would with other solutions. 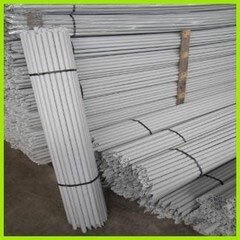 This kind of support it is the same used in the construction industry, and it can be considered as economic but solid support. Being raw, it could get rusty quickly transmitting it to the wire. The rusty can be eliminated by the use of the same support but hot galvanized. The costs raises than the raw version. Beyond being a vineyard support which allow an correct and vertical planting growing, it must be hard enough to keep under the mechanical operations over the season. 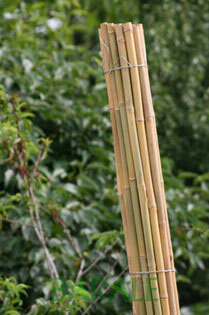 Sturdier it is and more protection will offer to the young plants. Thanks to the galvanized process which limits the corrosion, any passage of toxic substances to the plant and later to the vineyard, it is avoided! For those who do not want metal braces for cosmetic reasons but wish strength and durabilityare ideal guardian of the fiberglass rods produced by pultrusion. 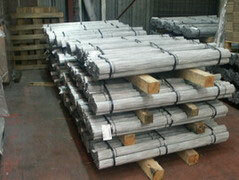 Available in diameters from 6.8-10 -12 mm. 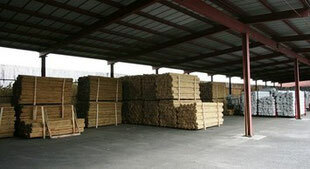 Accessories for Vineyards offers you first quality Stakes produced in our plants in the East under our supervision. The bamboo Stakes is produced in abundance in several Eastern Countries (China, India, Pakistan, Indonesia, Malaysia, etc..) from which it can be imported already packed in bundles. The work to get the finished product is long and cumbersome and is done by small family businesses, which then give the prepared Stakes to traders and exporters. The bamboo culm is mostly full and it is characterized by high strength and elasticity, with a duration varying depending on the material, from 4-5 up to 7-10 years. The cost of this exotic material is not high and this can make it convenient to be used when searching for stakes to be used only in the first years of the system. Short lengths: They are used short lengths of species that bear the cutting stump (locust-tree, chestnut), or other ones grown in poor environments. In the treated wood field they are used the pine stake, very good but rather expensive solution, and the eucalyptus stake, limited to smaller sizes, allowing a deep penetration into the impregnating agent, ensuring good durability.